The top target on the free agent market turned down what would have been one of the most lucrative deals in MLB history. Washington Nationals star Bryce Harper was offered a 10-year, $300 million contract by the club towards the end of the 2018 season, according to ESPN. Harper rejected the deal, electing instead to test the market as a free agent. Nationals general manager Mike Rizzo discussed the offer with reporters on Tuesday. 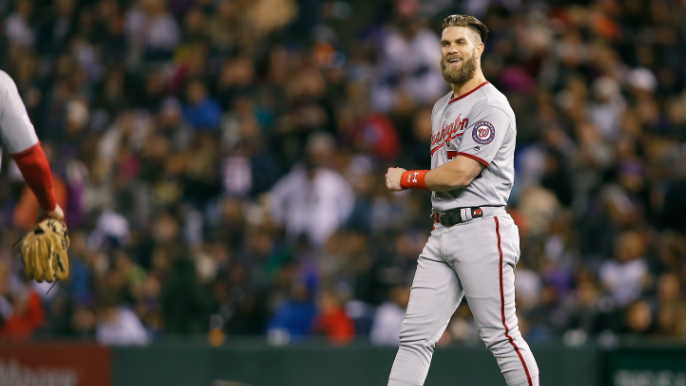 The total worth of Harper’s next contract will largely be determined by its length, but the six-time All-Star is expected to ink a deal worth at least $31 million per year, according to Spotrac. Harper posted a slash line of .249/.393/.496 with 34 home runs in 2018, and has a .900 career OPS with 184 homers. The San Francisco Giants are among a handful of teams reportedly targeting Harper this offseason.